MONDAY, April 17, 2017 (HealthDay News) -- Choosing an over-the-counter allergy medicine for a child sounds easy enough. But a new survey finds that the wide range of allergy medications, along with dosing and labeling differences, can make it a challenge to select the right medicine for kids. "Parents often face an overwhelming selection of allergy medicine without clear guidelines on how to choose the right one for their child," said pediatrician Dr. Gary Freed. Freed is co-director of the C.S. Mott Children's Hospital National Poll on Children's Health at the University of Michigan. "If parents are unsure how to navigate allergy medication choices, they should always check with their child's health-care provider," Freed said in a university news release. Freed's group surveyed more than 1,000 parents of children aged 6 to 12 across the United States. More than half of the parents had given allergy medicines to their children in the past year, the survey found. Of those, 85 percent used medications they already had in the house, and 18 percent of them did not check the expiration date. "While outdated medicines are unlikely to be dangerous, they may have lost some of their effectiveness," Freed noted. More than one in five parents said they've had trouble determining the right dose of allergy medicine for their child. Most used allergy medicines labeled for children, but 15 percent gave their child medicines labeled for adults. One-third of those who used adult medications gave their child the dose recommended for adults while two-thirds gave a partial adult dose. Adult medicines often contain the same ingredients as those for children but do not always have dosing instructions for youngsters, the researchers pointed out. "If taken as directed, over-the-counter allergy medicines are safe and effective for children, but parents should be very careful to give their child the correct dose. Doses greater than recommended for children can result in more severe side effects," Freed explained. When shopping for an allergy medicine for kids, Freed recommends checking the ingredients to help select the best-priced option for your child's needs. 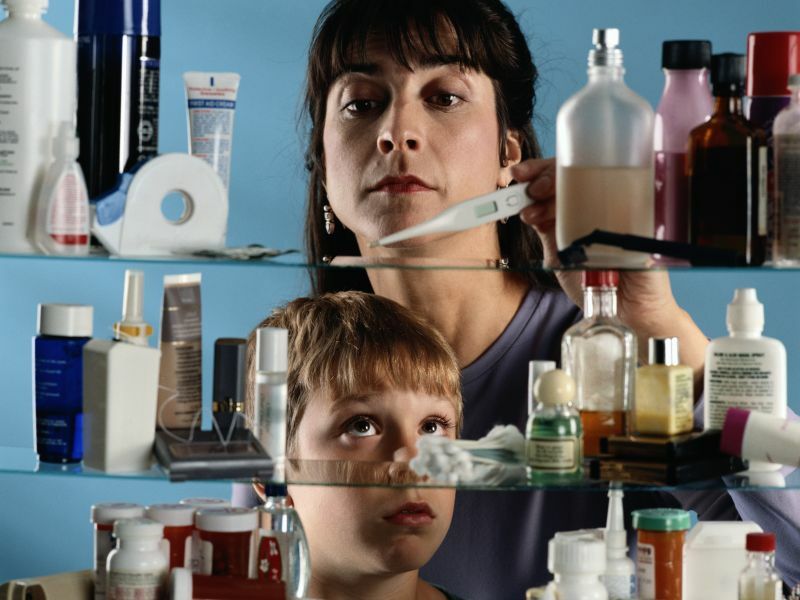 Try to match your child's symptoms to the medicine included in the product. For example, antihistamines can help with a runny nose and itchy eyes, while decongestants help with a stuffy nose. "Some parents may be picking allergy medication based on their interpretation of different advice they've heard, which may not always be accurate," Freed said. Doctors are the number one source for advice about allergy medicine for kids (61 percent), but 38 percent of parents ask a pharmacist, and nearly one-third (32 percent) ask a friend or family member, the survey found. The American Academy of Pediatrics has more on seasonal allergies.